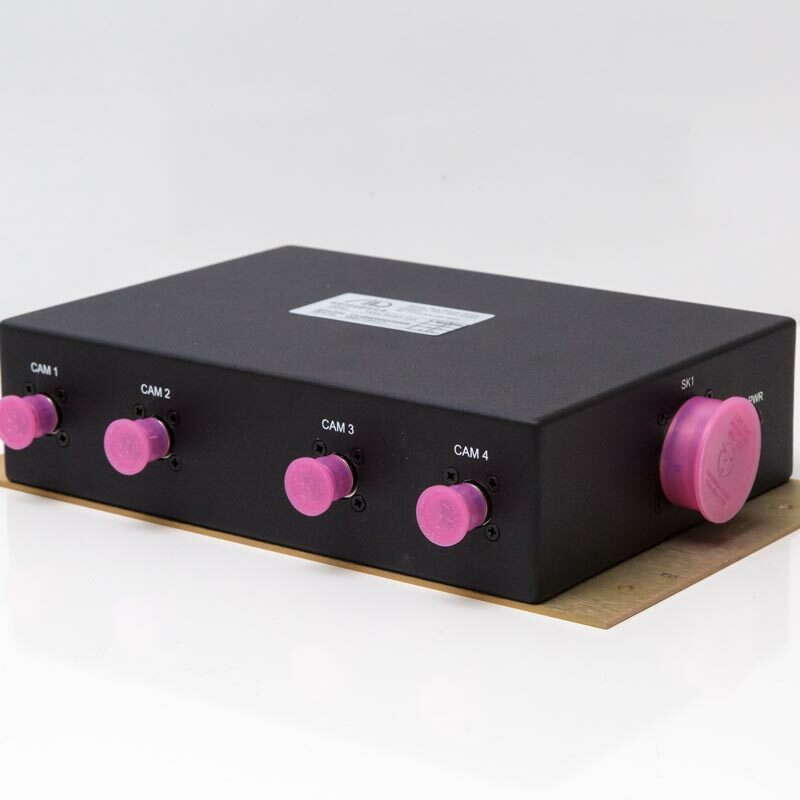 AD Aerospace’s FV-0580 Aerospace Video Switch Unit takes input from up to 4 analogue cameras and produces video streams suitable for viewing on displays such as LCD monitors. The FV-0580 can provide a variety of functions from security to In-Flight Entertainment (IFE). Its most common application is the distribution of images from security cameras located around the approach to the cockpit door and in adjacent galleys to monitors on the flight deck. This enables the pilots to check who is outside of the door when entry is requested and asses and potential danger or threat before allowing access.